I’m nearing the finish line for my log cabin quilt. 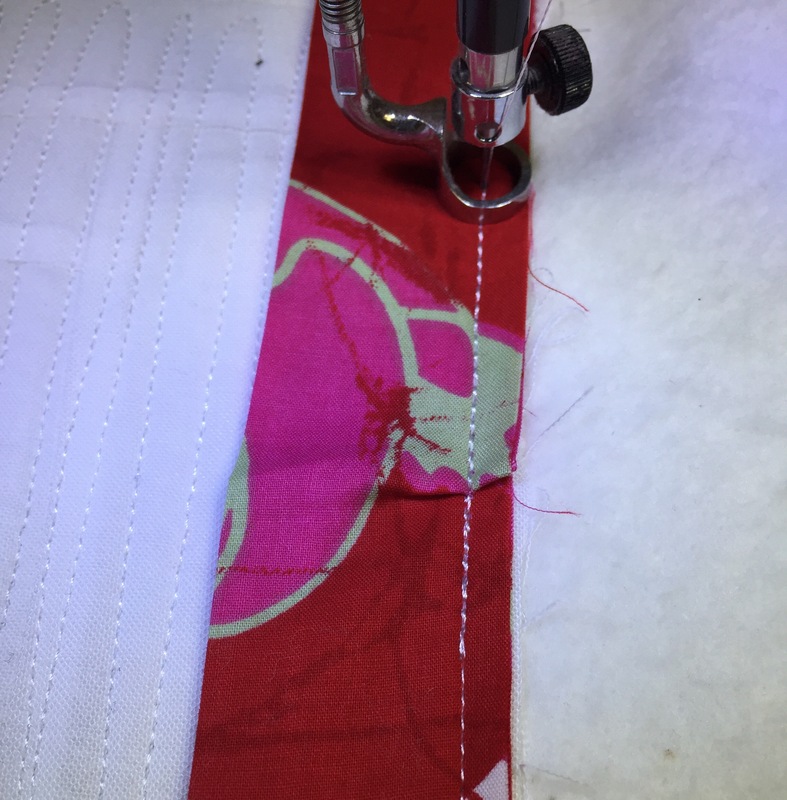 I know of several long armers that add the binding to the quilt before removing it from the frame. I decided I would give it a try with this quilt. 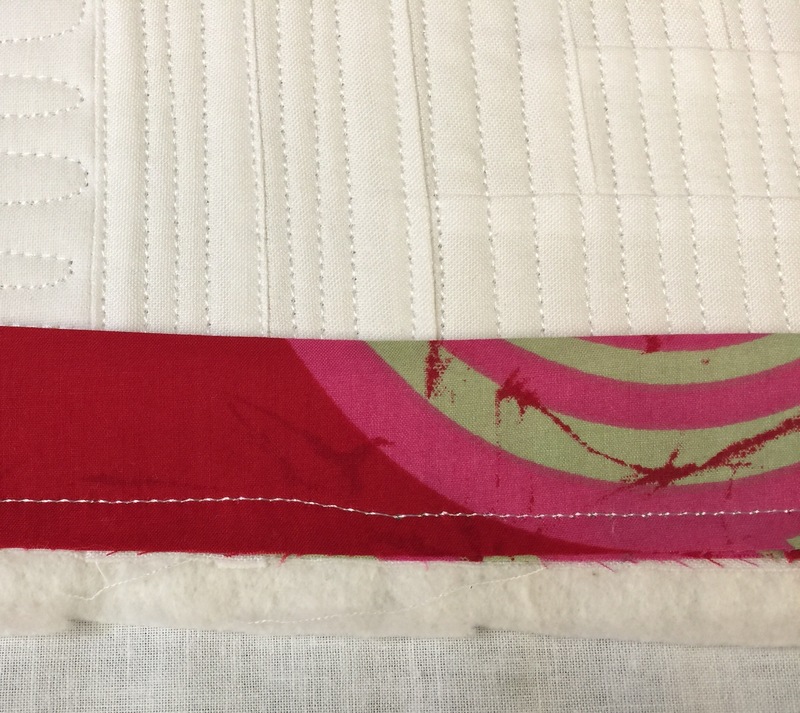 I placed the binding with the cut edge lined up with the edge of the quilt. 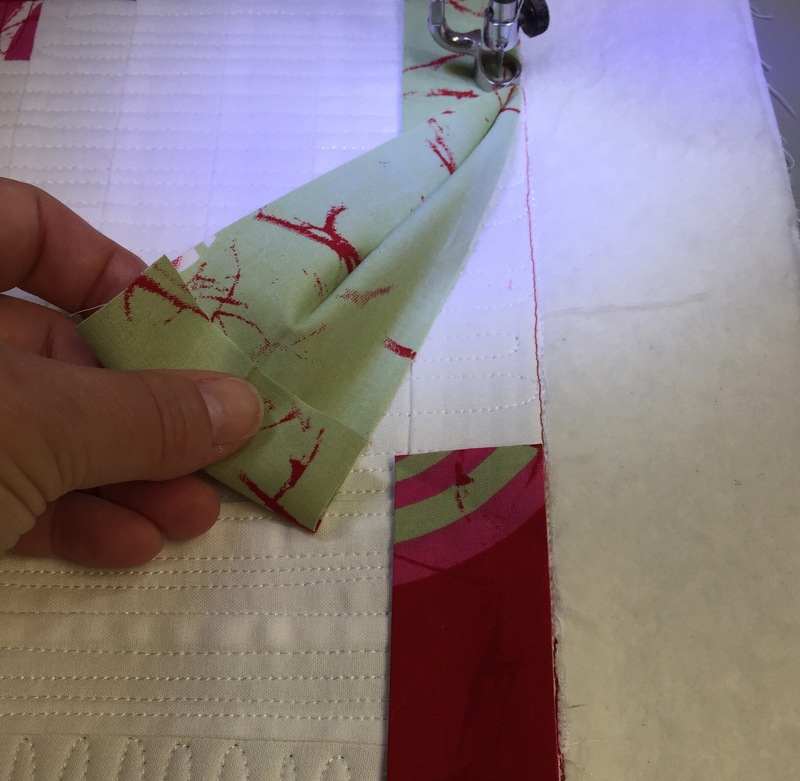 The edge of the foot on my long arm is one quarter inch from the needle so I line the edge of the foot up with the cut edge of the binding. 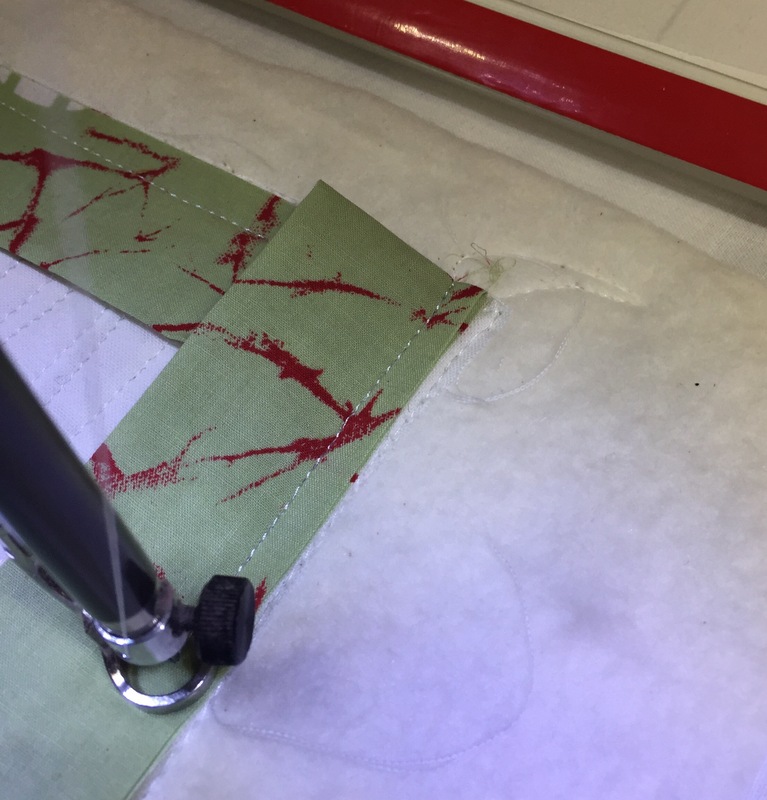 I started out using a ruler to keep the seam line straight. Even with that I had some wobbles. At the corners, I sewed off the corner just like I do on my domestic machine. 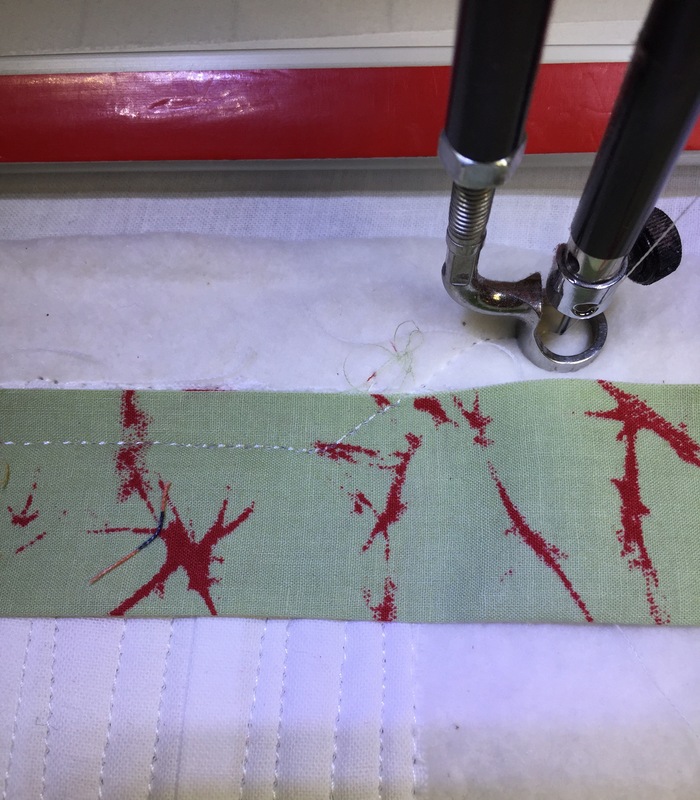 Instead of cutting the thread, I “park” the machine just out of the way. Then I fold my corners as usual and start sewing from the edge. You can see the stitches where I moved the machine. This will all get trimmed away. When I got near the end, I trimmed so one end was about an inch longer than the other. I folded back one end as shown. Then I tucked the other end inside and continued stitching. I got a little pleat. Hopefully it won’t be too noticeable when the hand stitching is done. Once this was all sewn on, I removed the quilt from the frame and trimmed it. Now I’m ready for the hand stitching. 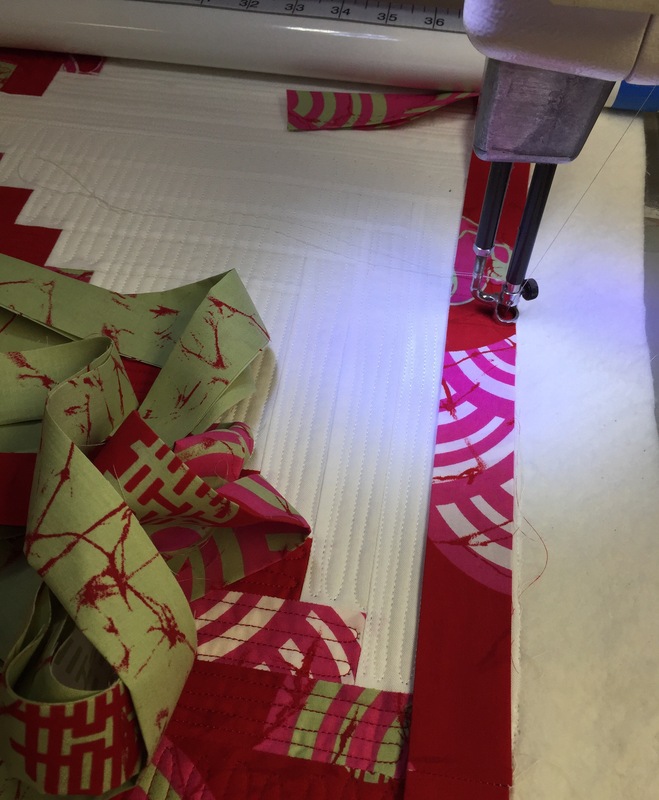 This process involved tolling the quilt back and forth big on the fame, and will require some practice. Overall, I’m glad I took the time to learn a new way to do this and will likely do it again. 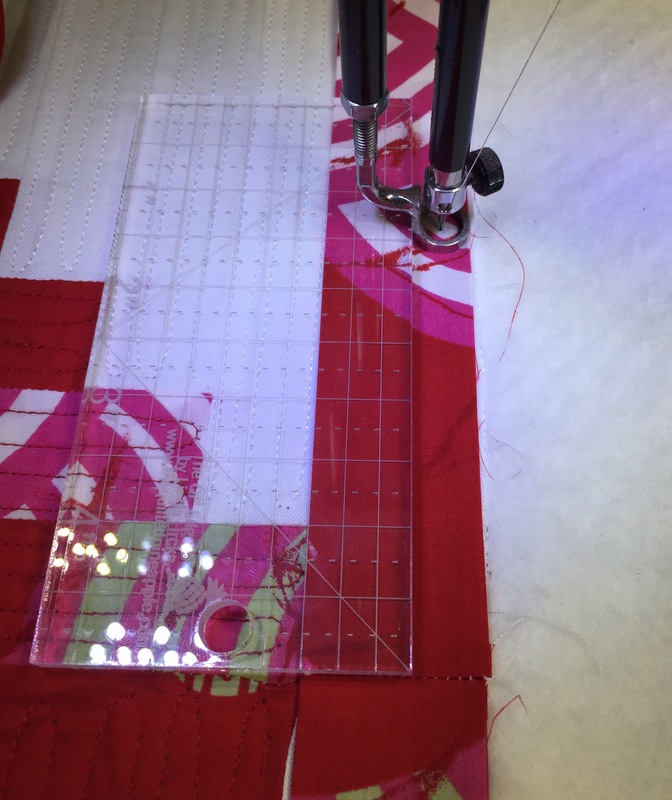 This entry was posted in Long Arm Quilting, Longarm Quilting, Tutorials, Uncategorized. Bookmark the permalink. 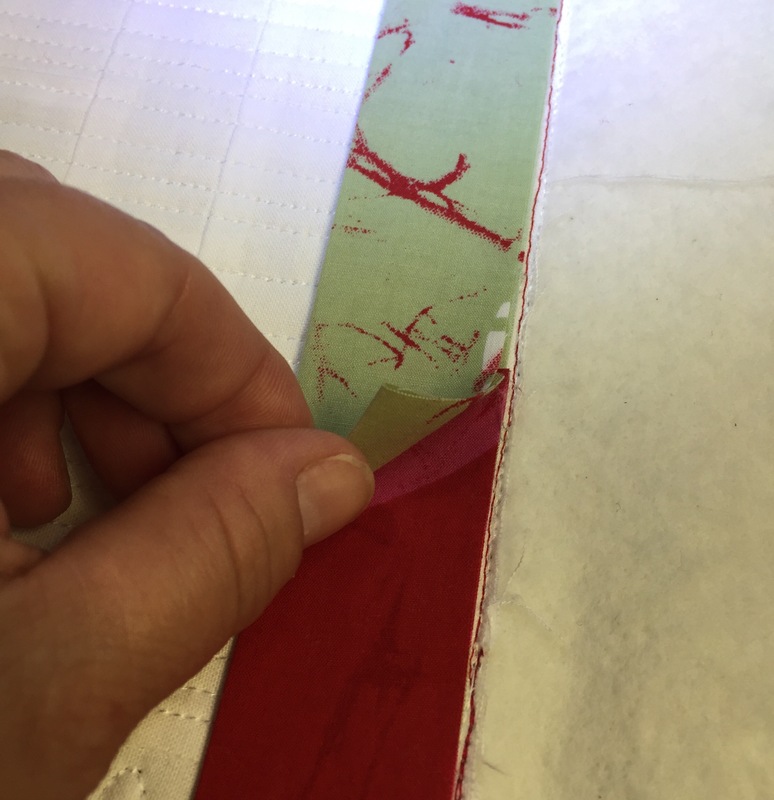 That fabric you’re using for the binding is gorgeous. I’m amazed at how much you get done. You showed this process well. I wasn’t quite “getting it” when I heard other longarmers doing this. I might give this a try too. Thank you! I have done that before, but I love seeing how you do it!! So effecient!